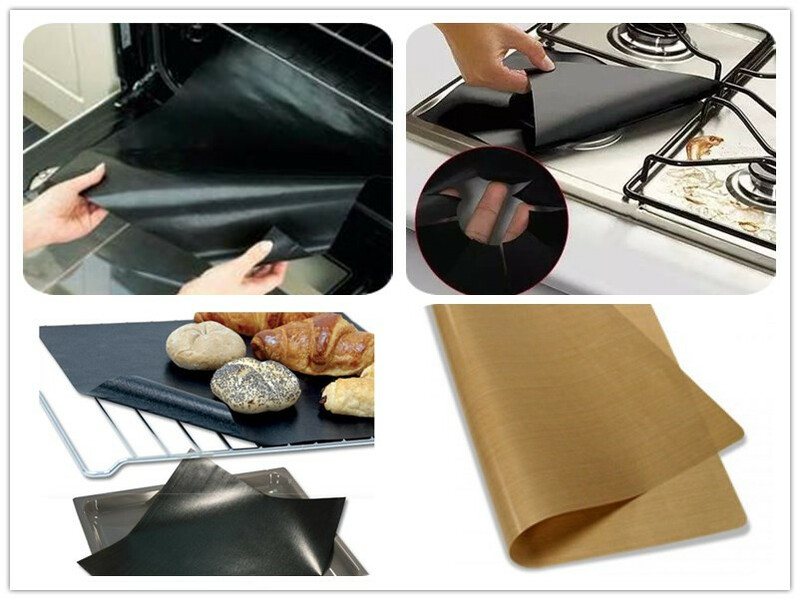 Alternate name Teflon oven liner, tetrafluorohydrazine oven liner, PTFE oven liner, microwave washer, baking pan gasket, insulation paper, and etc. It is made of high quality imported glass fiber yarn woven materials, plain weave or special woven senior glass cloth substrate And then use a unique process technology, fully immersed, impregnated, coated with imported suspended PTFE (commonly known as plastic king) latex as raw material. production of various specifications of Teflon grill mat, it’s a high performance, multipurpose composite new products. 1, Anti adhesive, especially good, smooth surface, not easy to stick to any material. Easy to clean the surface of the attachment, grease stain or other attachments, can be used repeatedly. 4, Can be used safely in the dishwasher, non-toxic, safe access to food, and have anti-corrosion function. 1 use the scissors to cut the grill into the desired size and shape. 2 placed in the pot, plate, or other containers. 3 put the food on the grill. 4 food cooked, such as cooling out the grill, washing it with water. 5 baking sheet can be used repeatedly.